I love to graze. On days when I feel like I’m constantly on the run, grazing on snacks is the only thing that can keep me going. And coffee. And a promised magazine break. But grazing is the main thing that pushes my day into production. The big issue with me is actually finding snacks that taste good, are healthy, and won’t cause me to gorge. I do love to make my own snacks, but if I can find a great one right on the shelves at the store, I’ll happily stockpile them. 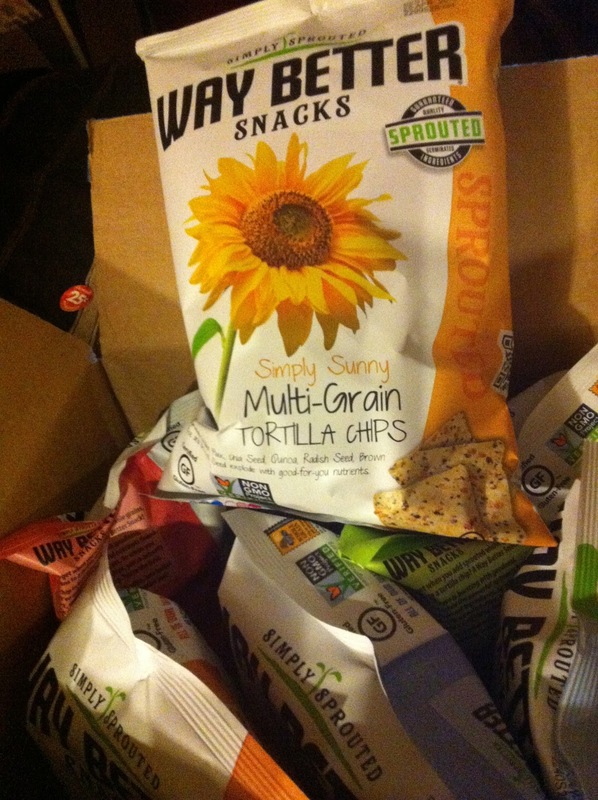 Lately, good-for-you, gluten free snacks have been my secret pleasure. I was recently sent some Way Better Snacks to try. As soon as I opened the box I noticed that they were not only were they gluten-free, but they had no GMOs and were chock full of nutrient-dense grains and seeds (they even had Chia in them! Chi-Chi-Chi Chia!). I grabbed up the Naked Blue tortillas (my all time favorite snack) and went to town. The crunch was beyond amazing and I was already thinking of so many different dips I could create to go with them. Later that night, I put together a chocolate ganache. I tossed the chips in a homemade vanilla sugar and a new dessert was made: vanilla blue tortillas dipped in ganache. Gulp. Slurp. Yum. 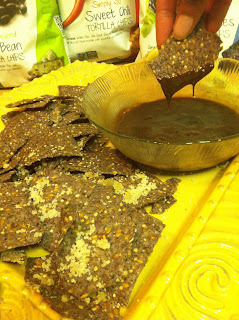 Because of the nutrients in the chips, and how rich the chocolate was, the kids gobbled up a handful of chips, but felt full enough to stop right there. It was a miracle snack food! 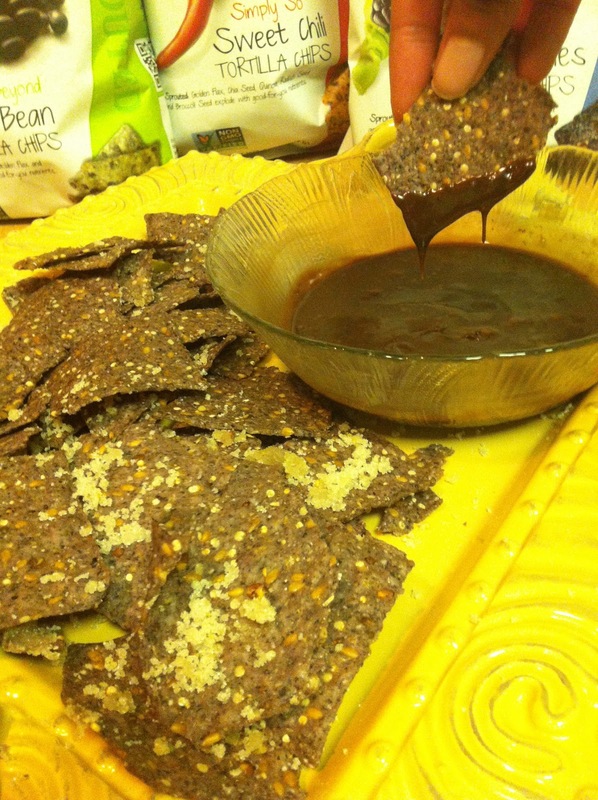 Since then, we’re tried the black bean, sweet potato and multi-grain chips, all worth a daily nibble. 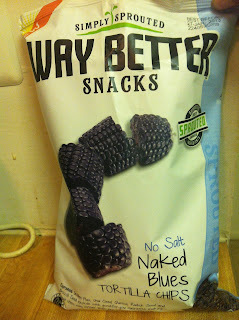 Look for Way Better Snacks in your local store. If they don’t sell, it demand that they do! It’s a quality snack that will keep you going. Oh look, time for another grazing session.